The budget announcements are positive for the hospital sector as more patients will get treated due to the access to the insurance coverage. Hospitals stocks are trading in green after Finance Minister Arun Jaitley announced measures favorable for the hospital sector. Under the Aayushman Bharat programme, total 1.5 lakh centers will be set up to provide health facilities close to home. These centers will provide comprehensive health care facilities, including for non-communicable diseases and maternal and child health services. Rs1,200cr has been committed in this budget for this programme. FM also announced National Health Protection Scheme to cover 10 crore poor and vulnerable families. Under this scheme, Rs5 lakh will be provided for medical reimbursement per family per year. 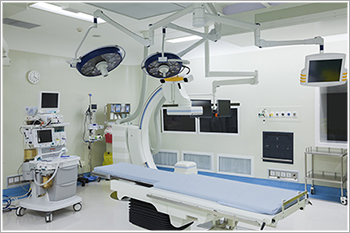 This will benefit about 50 crore individuals for secondary and tertiary care hospitalization. This will be largest government-funded healthcare scheme in the world. FM also announced Rs600cr to provide nutritional support to all tuberculosis patients. FM has also announced to set up 24 new Government Medical Colleges and Hospitals by upgrading existing district hospitals. This will ensure that there is at least one medical college for every 3 Parliamentary Constituencies. We believe that these announcements are positive for the hospital sector as more patients will come under the insurance coverage. This will ensure that more patients will get treated in the hospitals.